Download Download the book: "The Development Imperative: Toward a People-Centered Approach"
This volume emerges from the first annual International Forum for Development (IFD), held in New York City on October 17-19, 2004. Amidst growing dissatisfaction with development strategies that have failed to produce adequate rates of growth or to distribute resources equitably, the IFD brought together a diverse group of intellectuals to exchange ideas, to consider the contours of alternative policies and to work toward articulating a more equitable development project. This volume brings together a selection of those interventions. While the first International Forum for Development was a modest effort, it was a vital step in the creation of an alternative vision for development where, as co-chairs Ha-Joon Chang and Deepak Nayyar put it, "the focus is on people rather than economies, and on ends rather than means." 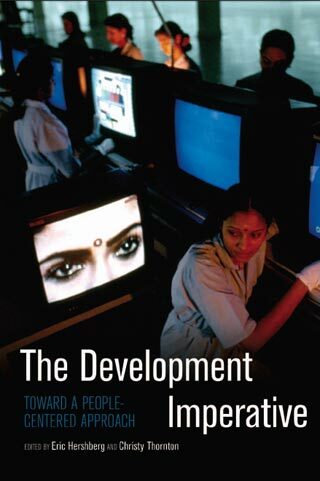 The Development Imperative: Toward a People-Centered Approach, eds. Eric Hershberg and Christy Thornton (New York: Social Science Research Council, 2005).